We Take Your Fishing Time Seriously How frustrating it is to make the perfect cast and your bait flies off the hook. Or continuously re-baiting the hook of a young fishing partner due to lost bait. 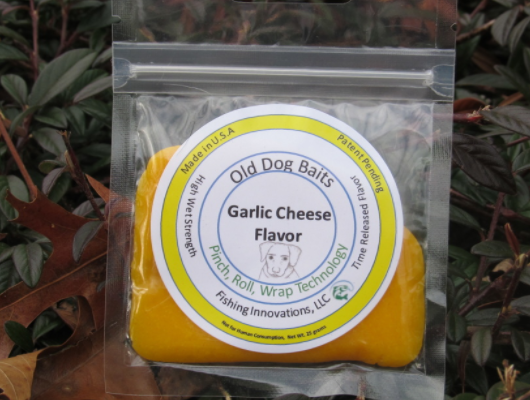 Old Dog Baits are designed to stay on the hook when wet. Our patent pending formula and the Pinch, Roll, Wrap Technology allows you spend more time in the water than re-baiting a hook. 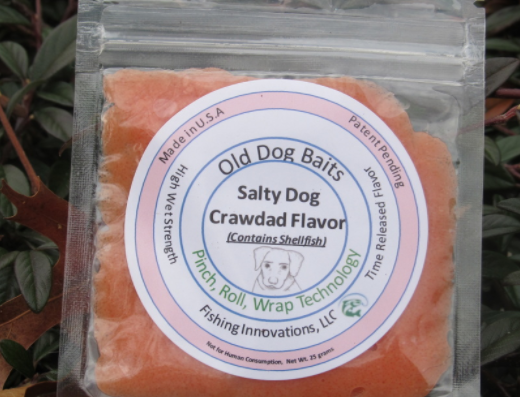 Old Dogs Baits: A Revolutionary Design Old Dog Baits are flavored baits designed to stay on the hook even when wet. The patent pending formula, along with, the Pinch, Roll and Wrap Technology, helps keeps the bait on the hook or jig. More time is spent fishing than re-baiting which reduces your bait cost! 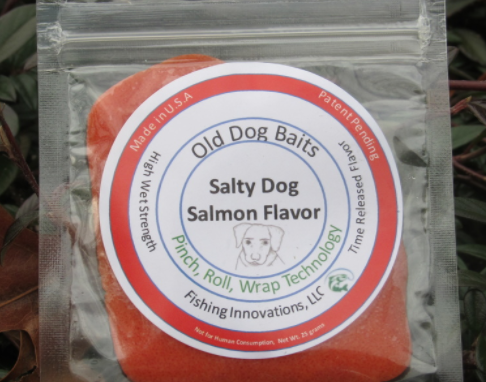 The technology makes Old Dog Baits a perfect bait to teach young or new fishermen how to fish. The Pinch, Roll Wrap Technology is quickly learned (see below) and the new fisherman is ready to go! Of course, supervision and hook safety should continue. The flavors are time released and they can be rejuvenated, at least once, by reshaping the bait. The flavors mask unwanted scents and taste to increase the hook hold time. Depending on water conditions, the flavors and bait motion will attract fish. These baits sink which gives the fishermen the option to reduce sinker sizes or weights. 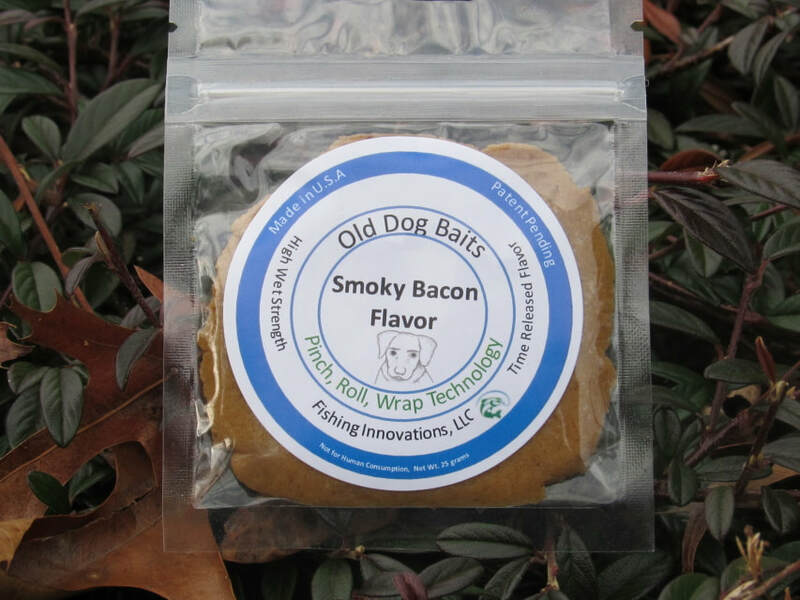 Old Dog Baits are biodegradable and the packaging is recyclable.